Everything seems to be riding on immigration reform. Not only will it determine the future of the Republican party, but a workable deal will underscore Obama’s legacy as a successful second-term president. Given the importance of immigration reform — just as everything seems to be riding on it — there’s a lot of blaming going on too. 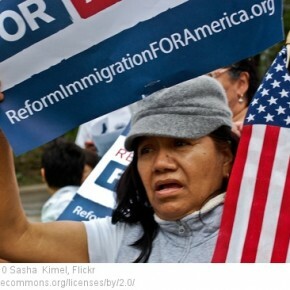 Supposedly, if Obama fails to lead immigration reform through Congress, it could “reignite anger among Mr. Obama’s Latino supporters . . .” For Republicans, it will reveal how strong the conservative movement is within the party. Failing all-out sabotage, Mario Rubio proposes taking immigration out of the Obama’s hands: Congress, not the Department of Homeland Security, would determine the plan for border security. Can we imagine any more of a mess than letting Congress protect our borders? Obama is willing to compromise, but an institutional power-grab like this is absurd.